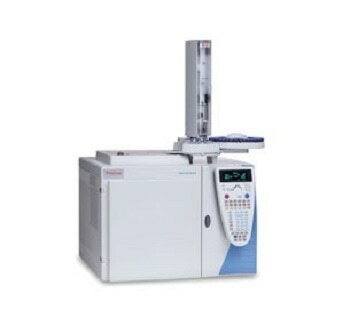 Thermo Scientific* TRACE GC Ultra Gas Chromatograph is designed to be easily configured with up to two injectors and three detectors. Cold On-column Septumless injector. No heating of the injector is required. Suitable for manual and automated operations. Cryogenic coolant not required. Large Volume Cold On-column Up to 450µL injectable volume. Uncoret type desolvation precolumn. Heated Solvent Vapor Exit valve. LVI software assistant for parameter optimization. Suitable for clean matrices. Large Volume B.E.S.T. PTV Up to 450µL injection volume. Heated Solvent Split valve. Compatible with optional Backflush kit for PTV. Suitable for large volatility range samples in dirty matrices. Large Volume Splitless Up to 50µL injection volume. Compatible with manual or automated injections. Suitable for samples amenable to split-splitless injector. 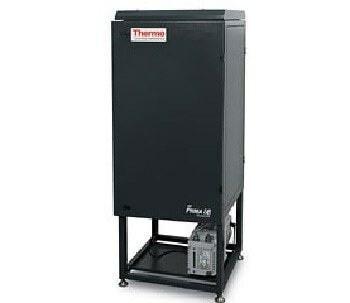 Digital (250 and 1000kPa) Ambient Temperature and Pressure compensation. Gas saver. Assisted Leak Check Evaluation. Pressure surge.